Tranzaura were delighted has been selected as the winner of the prestigious ‘Innovation Award’ for the development of the micro-learning solution K.A.T.E. 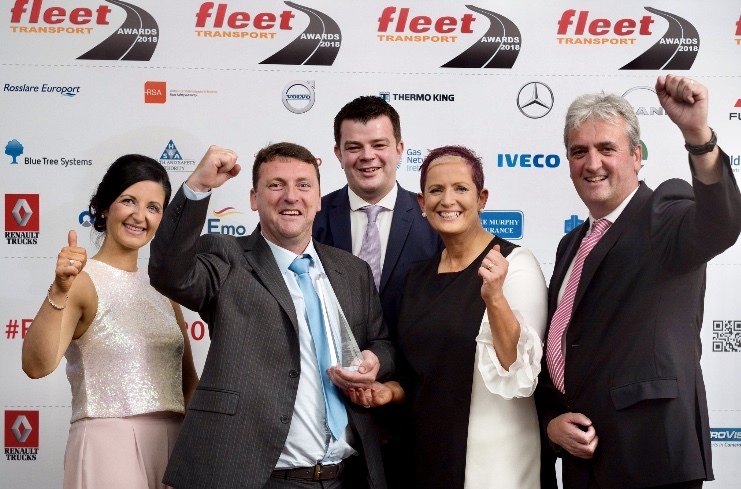 (Knowledge, Awareness, Training & Education) at the Fleet Transport Awards 2018. This is the second time that Tranzaura have picked up the ‘Innovation Award’, having done so previously with the development of ‘TranzTacho’ in 2012. Tranzaura’s Shane Mann (COO) was thrilled to accept the award on behalf of Tranzaura.